North Penn Little League Challenger Division. The Hatfield Township Police P.B.A, The North Penn Rotary Club and Emanuel Church of the Nazarene. Also included are the parents, player buddies and to two very special people ; George Adams and Scott Cook as coaches they devote their time so that these special athletes can enjoy the game of baseball . We would like to take a moment and thank you all for your support and generosity, this could not happen without you. 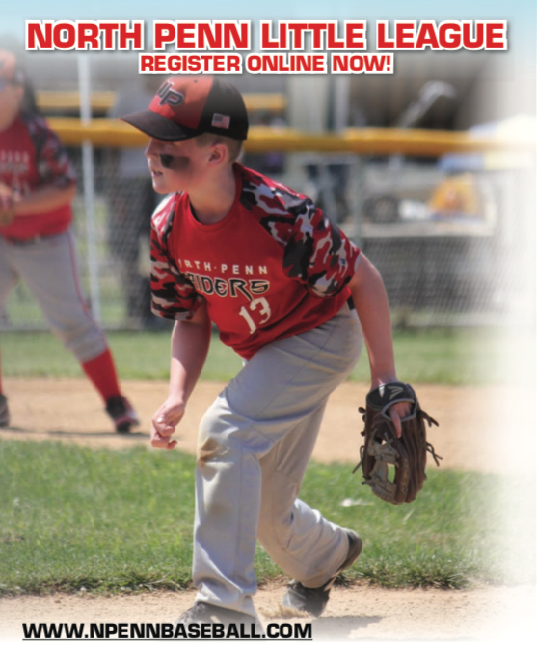 The Challenger Division of North Penn Little League is a program for mentally and physically disabled youth to enjoy the full benefits of Little League Baseball participation in an athletic environment structured to their abilities. However, whenever possible and with reasonable accommodations, disabled youngsters should participate in unrestricted league play provided their participation is possible and fair within the standard rules and regulations of Little League Baseball. More than the skills of baseball learned through the experience, the value of the North Penn Little League Challenger Division is found in the proven therapeutic and socialization benefits of participating in sports, the strengthening of participants' self-esteem, and the discipline of teamwork, sportsmanship and fair play which are hallmarks of the North Penn Little League program. The philosophy of the North Penn Little League Challenger Division is to provide a program that offers a structured, athletic activity for all youth in the community. Playing equipment, uniforms, umpires and special event activities provided for existing divisions are to be available for the Challenger participants as well. Chartered by the United States Congress as an educational program, it is incumbent upon our league administration to provide the same organization structure as offered the other Little League divisions and to assimilate the Little League Challenger participants into the structure of the Little League program. Little League Baseball has been offering to youngsters worldwide since 1939. Playing with the same equipment on the same fields, Challenger Division participants learn not only the fundamentals of baseball, but also how it feels to be just like other children together as a team, being cheered and earning awards for their achievements.